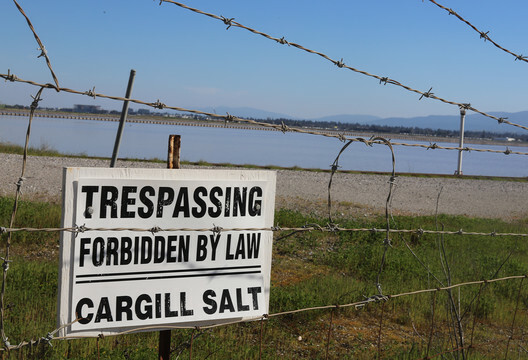 A move by the Environmental Protection Agency could revive the contentious plan to develop 1,400 acres of Redwood City shoreline owned by Cargill Salt, which operates an industrial plant there. The EPA removed one barrier to development earlier this month by ruling that the area is not subject to restrictions in the federal Clean Water Act. That puts the EPA at loggerheads with environmentalists, who want to convert the land back to tidal wetlands. Peninsula Congresswoman Jackie Speier, for one, was outraged at the EPA's new stance. She claims that Cargill executives and lawyers have worked behind the scenes with the Trump Administration to push the decision in violation of environmental laws. "I am not willing to let this happen. This administration has completely hijacked the jurisdictional process away from the experts on the ground, putting politics ahead of science," she said on the floor of the House of Representatives. "No surprise." What's the history of this big tract of land? 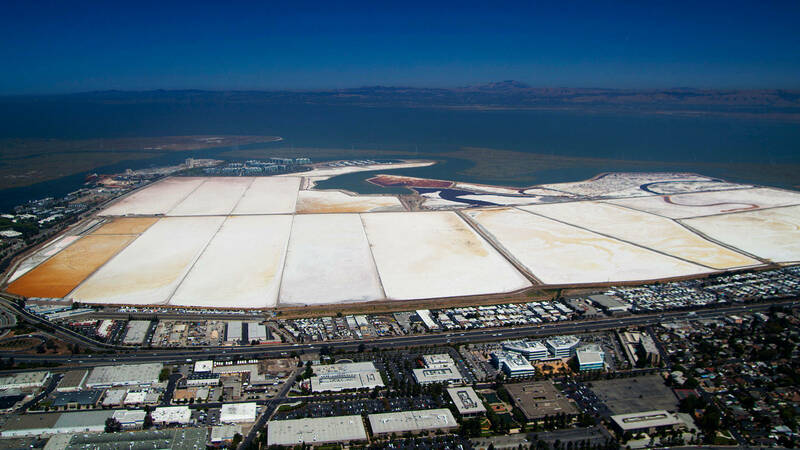 The area, which sits east of Highway 101 right up against the bay, is one-and-a-half times the size of Golden Gate Park. A century ago, it was underwater as part of San Francisco Bay. But it was diked and filled in decades ago, before modern environmental laws. Then 10 years ago, Cargill announced plans to build 12,000 houses for up to 25,000 new residents on the site. That proposal sparked one of the biggest battles over bayside development in a generation. Amid opposition from environmental groups and local residents worried about traffic, Cargill withdrew the plan in 2012. Now environmentalists say the levees should be breached and the area restored as wetlands for wildlife and flood control. How does the Clean Water Act come into this? The federal Clean Water Act prohibits the filling of waterways, and environmentalists have argued that developing the land would violate this part of the law. Obama's EPA agreed, but it did not finalize the paperwork before the new administration came in. So now the Trump EPA has reversed that finding, announcing on March 1 that the site is not bound by the Clean Water Act. And that removes the main federal hurdle to development. 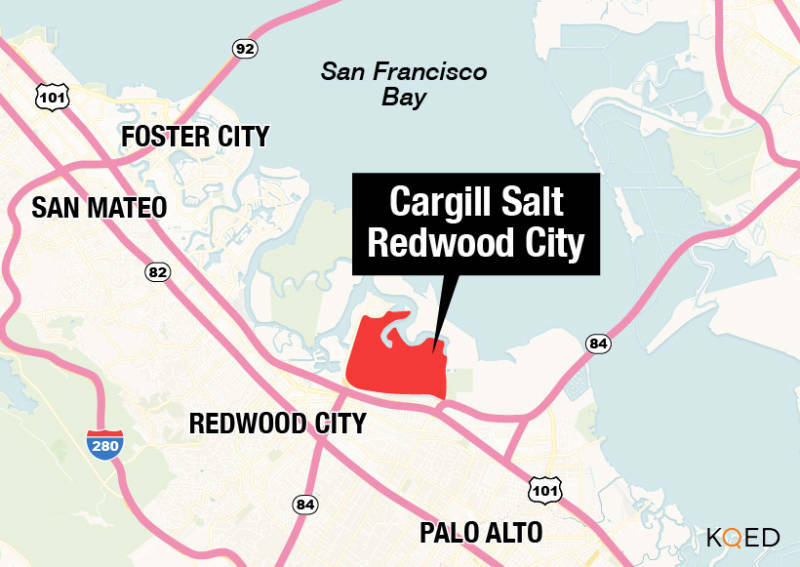 Cargill and its development partner, a company called DMB Associates, from Arizona, maintain that levees and other engineering can address concerns about flood control, and that housing can be built next to an area where Redwood City is planning a ferry terminal. But note that even though Cargill says its old development plan is dead, it has yet to propose a new one. The company says that it will hold public hearings in the coming weeks and months to gather input from local residents, followed by a formal proposal. If Redwood City really wants to stop this, can it? The short answer is yes. The project needs a permit from the Redwood City Council. Right now, the land is not zoned for housing, and the mayor says he doesn't support building residences there. Of course, any company that owns land can sue if they feel its property rights have been violated. The other possibility is that Cargill could be working to drive the value of the land up, since land you can develop is worth more than land you can't. So potentially they want to boost the price for an eventual sale — to the federal government, the state government or environmental groups that want to create a wildlife refuge on the land.